The Charity Commission has concluded that the trustees of the Joseph Rowntree Charitable Trust and the Roddick Foundation acted in good faith in funding the advocacy group Cage, but their monitoring processes were inadequate. Two reports have been published today on the cases, which were launched after the commission received a complaint in September 2013 that the JRCT’s grants to Cage, which works to campaign on behalf of communities affected by the so-called war on terror, were being used to spread "support for jihadism, bigotry and hatred". During its examination of the JRCT, the commission discovered that the Roddick Foundation had also funded Cage and opened a case on that charity in March 2014. Both cases concluded in 2014, but the reports say that while the commission was reporting its findings to the charities’ trustees, Cage director Asim Qureshi revealed that the organisation had once been in contact with Mohammed Emwazi, the Islamic State militant and British citizen, nicknamed Jihadi John, describing him as having been a "beautiful young man" and blaming MI5 for his radicalisation. The commission contacted both charities to seek assurances that they were no longer funding Cage, and asking them to agree not to fund it in the future, saying any connection between Cage and the charities could damage their reputation. Both charities said they were not funding Cage at that time, but the JRCT refused to promise never to do so again, saying it would fetter the discretion of trustees. Cage launched a judicial review of the commission’s request, which was withdrawn when the commission agreed to issue a statement saying it had no power to forbid charities to fund organisations in the future. Both case reports say trustees "acted in good faith", but it was "difficult to see how in these circumstances the trustees could have been sufficiently assured that the monies given to Cage were used for charitable purposes, particularly as Cage is not a charity and not all of its activities furthered charitable purposes". The reports say the charities had given Cage the money for human rights work, but not all aspects of human rights law can be considered to be charitable purposes, and neither charity had fully understood this distinction when seeking assurances from Cage that their money was being spent charitably. But the reports do not clarify which aspects of the law or Cage’s work would not be considered charitable objects. Both reports call for the charities to make improvements to their control and scrutiny processes. But the report about the JRCT, which says the charity told the commission it felt overbearing scrutiny of grant recipients was counter-productive, adds that "trustees needed to conduct more robust and more regular due diligence in respect of grant recipients, in particular non-charitable grant recipients". Most commission reports consist of two or three pages, but the case report on the JRCT runs to 14 pages, and the one on the Roddick Foundation is 11 pages long. 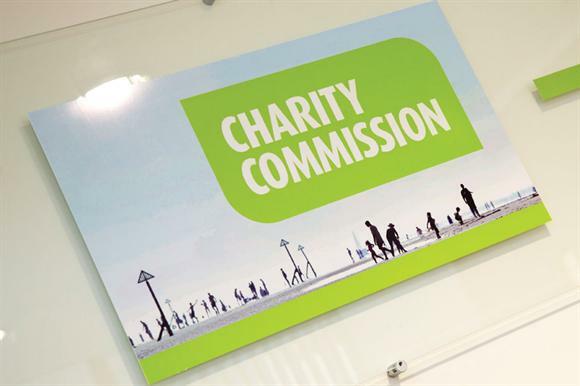 Both conclude by saying the commission’s intervention had made it clear to other charities and the public that the commission would "probe robustly how charities spend charitable funds". In a statement, the JRCT said it was pleased the commission’s inquiries had concluded. It said: "The commission’s long and detailed report makes it clear that our trustees acted in good faith, and that the grants were made to further our charitable purposes. "There is no evidence that any funds have been misused." The Roddick Foundation said in a statement that it welcomed the commission’s finding that its trustees had "acted in good faith" when taking the decision in 2009 to fund Cage. The statement added: "The commission has made a series of procedural recommendations for the foundation, particularly relating to the funding of non-charitable organisations. These were first provided to us in a letter from the commission in December 2014. We welcome the advice and guidance the commission has provided and we have already revised our processes accordingly. We also appreciate the commission’s conclusion that we took seriously the task of selecting the partners with whom we worked and to whom we gave grants." The foundation said that it had stopped funding Cage in 2012. < The initial story did not include a statement from the Roddick Foundation because of a technical problem with its website. A comment has now been received and added to the story.